+LIFEGUARD MINI 1 is the best portable external battery available on the Market. This compact well designed product has a premium smart battery that will save your cell phone battery hundreads of times with rapid and full charges. SMART PLUG & PLAY SAMSUNG GRADE “A” CELL BATTERY. REAL 3000mAh CAPACITY – GET YOUR DEVICE 100% CHARGED ON 1.5 TO 2.5 HOURS. 5.91IN APPLE COMPATIBLE LIGHTNING CABLE PROVIED FOR FREE! (LIMITED TIME OFFER). THOUGH ALUMINIUM SHELL MAKES IT IMPACT RESISTANT. Wow, this Lifeguard Mini is AWESOME! I never have to worry about charging my phone anymore. It's so convenient and reliable. I love the size. It's maybe just a little bigger than a tube of lipstick. It's small, compact and lightweight, but also durable. 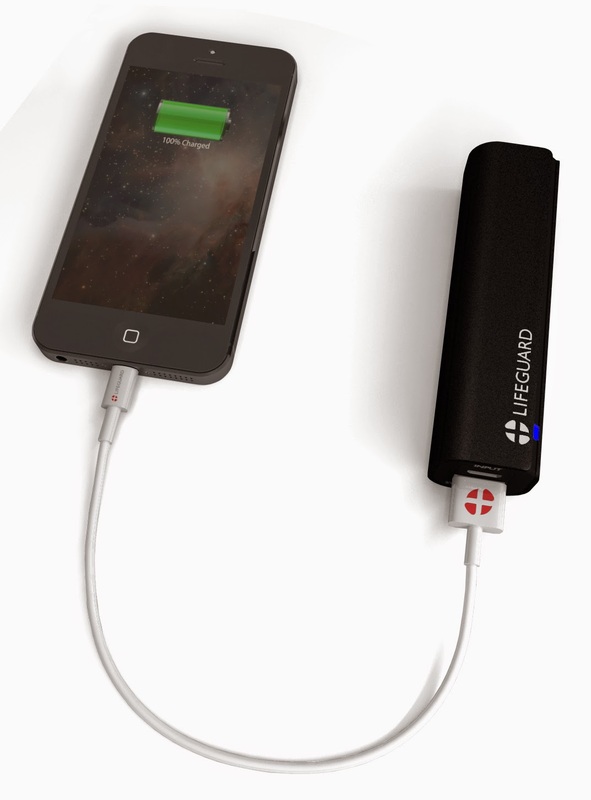 It's so easy to just put in my pocket or throw in my purse, I can have my phone or any other device charging on the go. This device is definitely very handy to have around, especially if you forget to charge your phone. Or, if you're like me, and your kids use your phone more than yourself, especially while your running errands, traveling or just at the doctors office, at some point, it has been a lifesaver! I am seriously considering getting one for my teenage nephew because there has been plenty of times his phone has died while he's at school or on the bus. This device is definitely a must have for anyone, great for emergencies! Will definitely recommend to all my friends and family! If you would like to try it out for yourself, you can purchase this Portable Charger +LIFEGUARD MINI 1 right now from Amazon!